We are so incredibly excited for the Shopify Responsive checkout – we wrote about it recently in case you missed it. 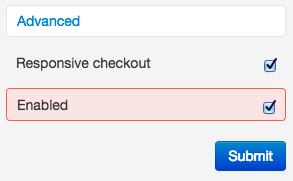 We’re happy to announce that we’ve deployed support for the responsive checkout in our Happy Checkout app. 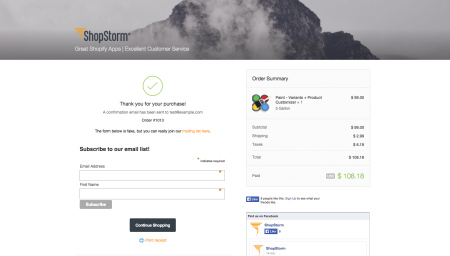 You can now enable the responsive checkout if you upgrade your checkout via your Shopify dashboard! Once you do, you’ll want to take a couple of steps. My colors are also pulled into the Happy Checkout styling. This is designed to make it easier for our customers to style the thank you page with the much needed additions to the Shopify checkout page. Want to see it in action? Here’s our sample checkout. You should now use the theme “Logo” option to add a logo. You can use the .shop__logo element to add additional styling as needed. The #greeting element is now gone. Please style the .shop__desc element instead. This is the original tagline provided by your Shopify theme, which can be overridden with your Greeting setting. There are smaller style changes to the modules as well. Instead of .module class, use the new .he-module class for styling. To style a specific module, use its appropriate class, like .he-module-facebook. The #greeting element is now gone. Please style the #tagline element instead. This is the original tagline provided by your theme, which can be overridden with your Greeting setting. 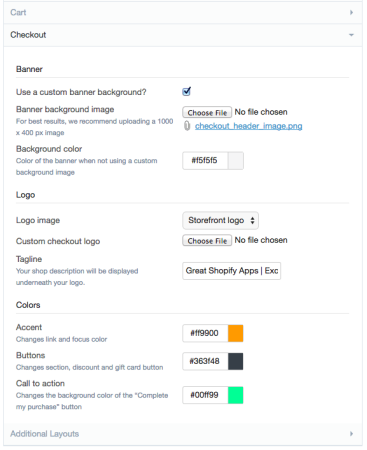 If you want to add a logo to your checkout page, use the #logo element. This is the official, Shopify-recommended way to do it. Now go hit that update button and enjoy a beautiful, personalized checkout experience!